as part of the Danish colonial fortifications. 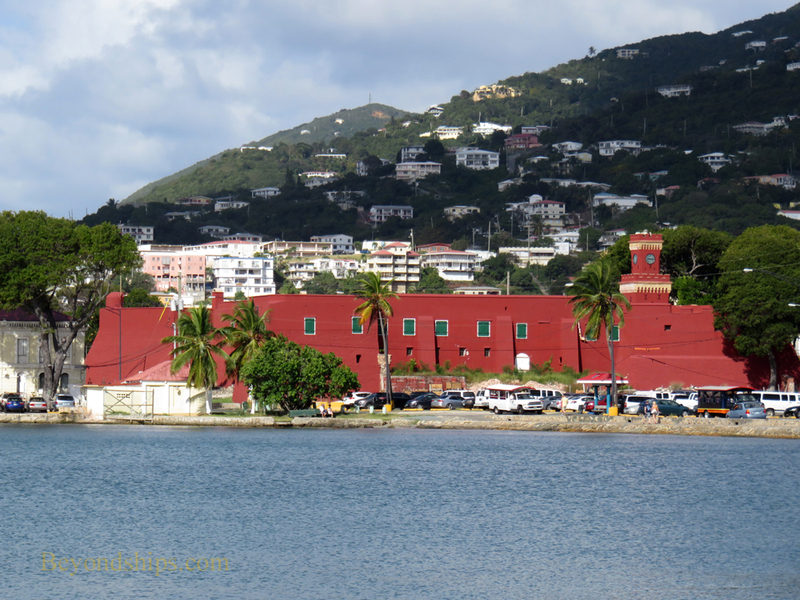 Below: Charlotte Amalie still has many Danish colonial buildings​. 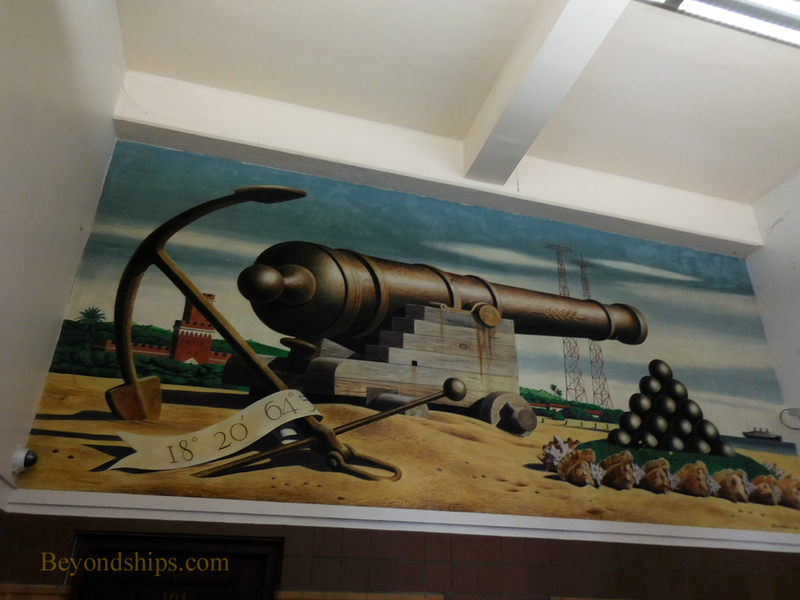 Below: A WPA era mural in the main post office in Charlotte Amalie also pays tribute to the island's maritime history. 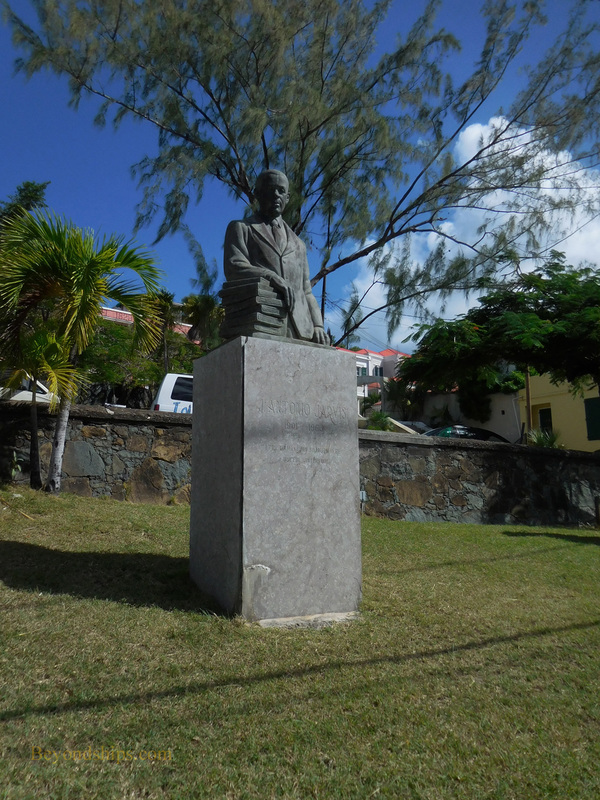 Below: A statue of St. Thomas educator, historian and author J. Antonio Jarvis. been the Ciboney Indians who settled there around 1500 BC. turn conquered by the Caribs. Virgin Islands in honor of St. Ursula and her 11,000 virgins. 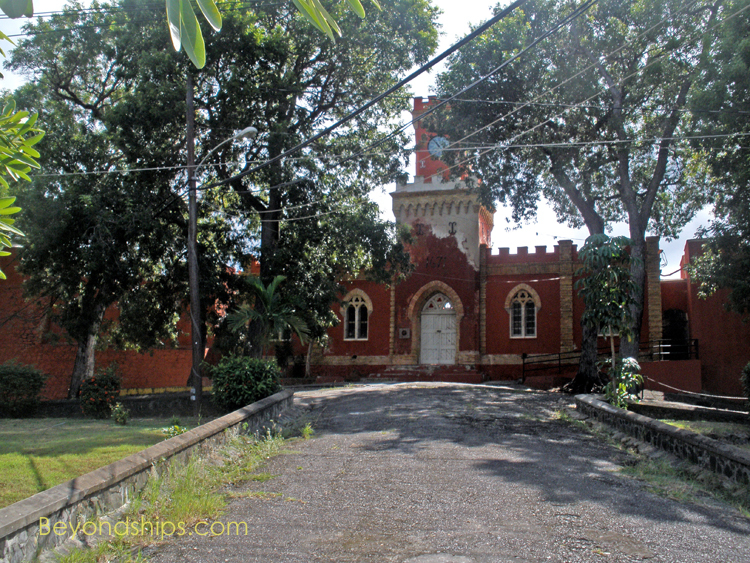 within a few decades very few were left on the island. 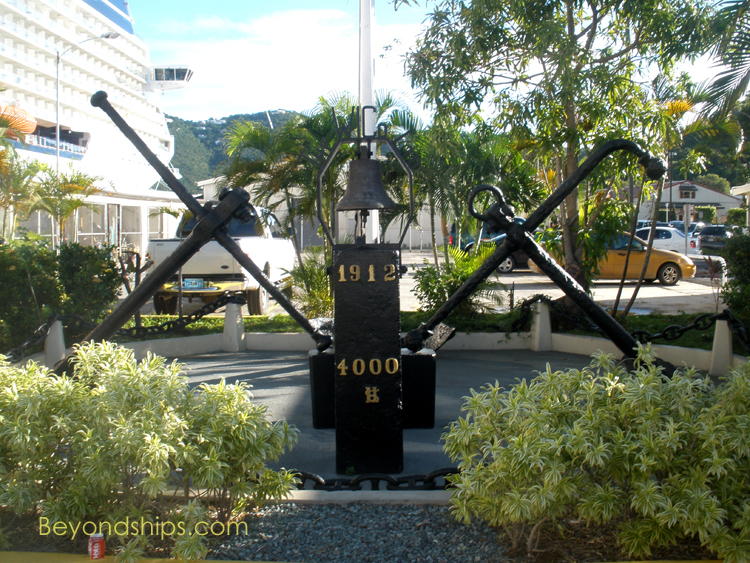 Century, English privateers led by Sir Francis Drake used St.
island was a base for pirates. Smith with the support of the Danish King Frederick III was made the official governor of St. Thomas and by 1672 the Danish West India Company had acquired the entire island. States to purchase St. Thomas along with St. Croix and St.
administered by the U.S. Navy for more than a decade. 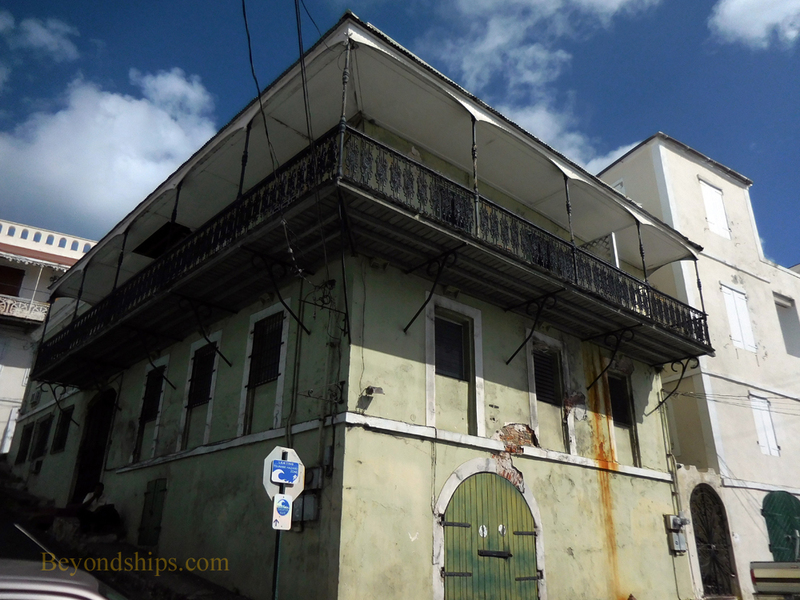 During this time, inhabitants of the Virgin Islands gained U.S.
later, a legislature called the Senate was established. islands elected the governor for the first time.